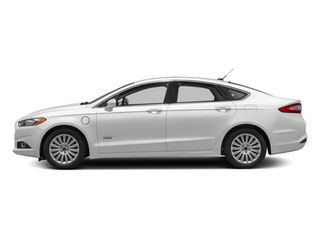 Ford has upped the ante in the hybrid game with its all-new Fusion Energi plug-in hybrid. 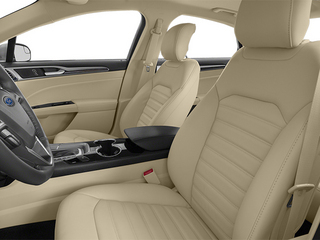 The sedan returns and EPA-rated 100 MPGe combined equivalent fuel economy, making it more efficient than the Toyota Prius plug-in, the Chevrolet Volt and the Fisker Karma. 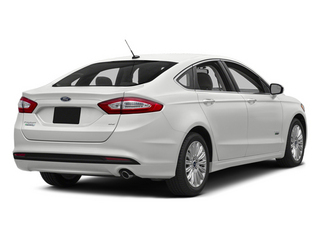 With lovely coupe-sedan looks, innovative cabin features, and a lower price tag than the Volt, there is plenty to recommend the new Fusion Energi to car shoppers looking to reduce their eco footprint. 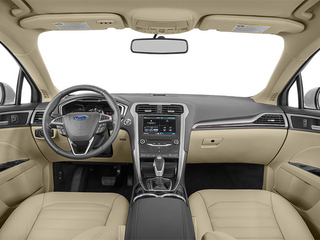 Ford completely redesigned its popular Fusion mid-size sedan in 2013, and introduced the Fusion Energi plug-in hybrid. 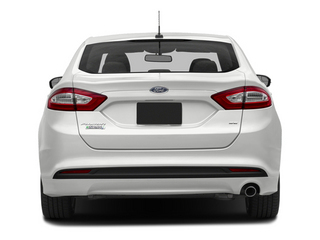 It is offered as an even "greener" alternative to the Fusion Hybrid. 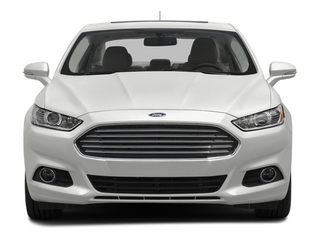 The Fusion Energi makes use of the same 2.0L Atkinson inline-4 gasoline engine found in the Fusion Hybrid. 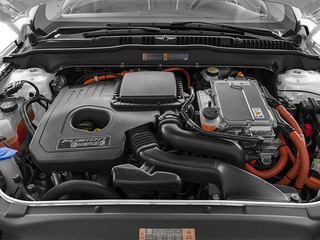 The engine is paired with a lithium-ion battery pack and an electric motor, and together the system produces 188 hp. 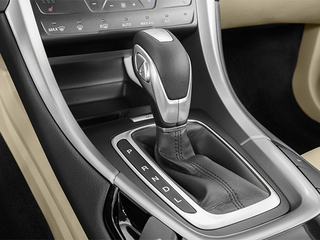 The engine drives the front wheels through a continuously variable transmission. 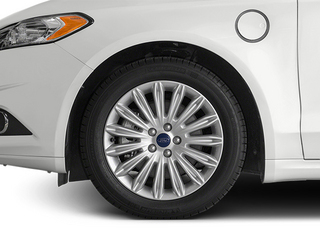 This combination allows the EPA to rate the Fusion Energi at a combined 100 MPGe (miles per gallon equivalent). 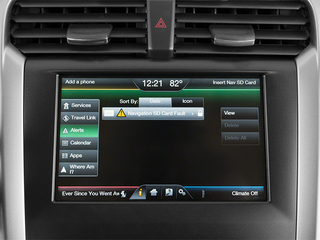 The plug-in feature is what sets the Energi apart from a typical hybrid. 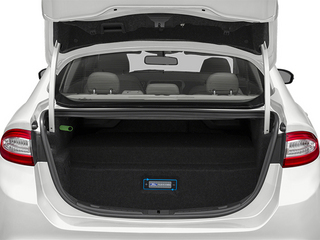 The Fusion Energi can be plugged in to any standard 120-volt outlet, and on a full charge, the electric motor can power the car for up to 15 miles. 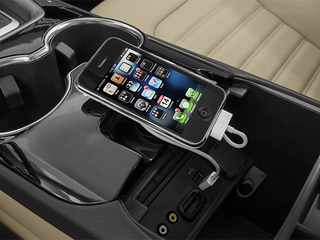 This means that for most short trips, no gasoline needs to be consumed at all. 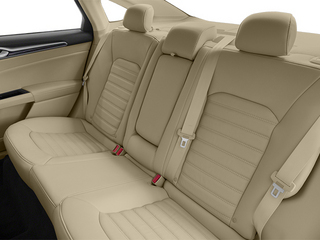 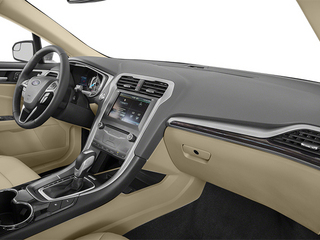 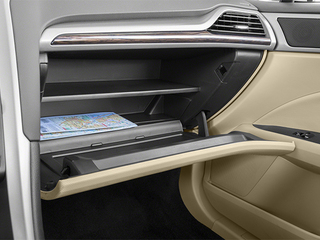 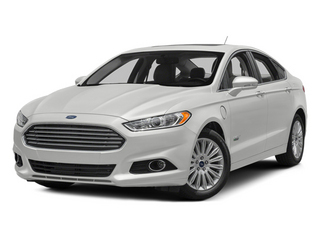 The Fusion Energi comes in two trim levels: Luxury and Titanium. 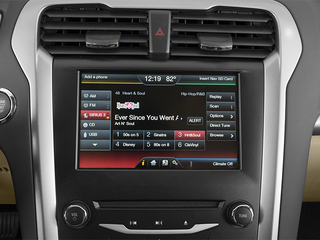 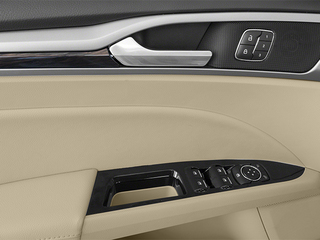 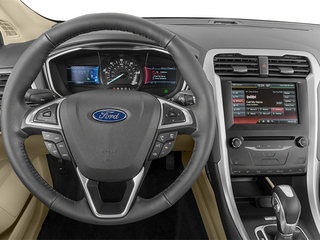 Both include loads of standard features, such as fog lamps and automatic headlights, heated power mirrors, heated power front seats, a pass-through rear bench seat, multi-zone air conditioning, leather steering wheel with integrated audio and cruise controls, Bluetooth hands-free connectivity, an AM/FM CD stereo system and SYNC with MyFord Touch. 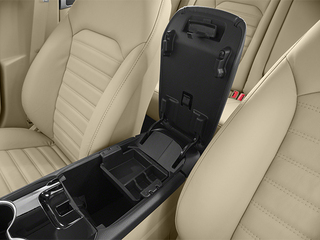 The Titanium trim adds rear parking assistance, polished alloy wheels, 12-speaker Sony sound system with HD radio, keyless and remote start, a rear back-up camera and a 10-way power driver's seat and 2-way power passenger's seat with power adjustable headrests.